Earth tumbles from the small, slim carrot that chef and farmer Rodney Dunn has just pulled from the ground. He rinses it and hands it over. It’s sweet and crisp; the best carrot I’ve had. “Why did it taste so good?” I ask. 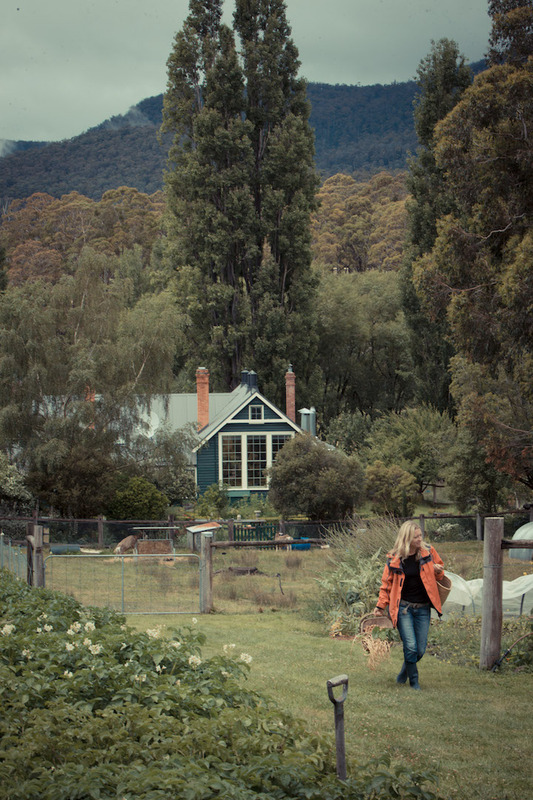 We’re wandering The Agrarian Kitchen farm, half an hour from Hobart. In Sydney, Dunn was apprentice to famous chef Tetsuya Wakuda; later he became food editor of Australian Gourmet Traveller magazine. The family left the mainland for rural Tasmania a decade ago to recreate the system of farming used before the industrial revolution. Guests spend one-third of the day gathering in the garden, one-third cooking and one-third eating. Seed saving is one key to the farm’s success. “Plants regenerate via seeds so by taking seeds you’re retaking the power. It’s best to save your own seed because plants are incredibly smart and they evolve to your garden.” Dunn grows heirloom varieties only, as well as old plants such as Alpine strawberries (they taste like bubble gum and candy). In the hills close by is an “old guy” who breeds potatoes with pink and purple flesh. By this time, Dunn has explained a lot to me: predator plants, soil health and the difference between a porker and a prosciutto pig. So when I ask why the Agrarian Kitchen grows coloured potatoes I don’t expect him to say, “Because they’re cool”. Though I’m glad he does. It expresses the enthusiasm and lack of pretension that typifies all of my interactions with Tasmanian growers. Not for profit organisation, Sprout Tasmania, says the number of small-scale producers is growing. “People are making farm changes, rather than sea changes,” says co-founder Alice Percy. “Consumers want to know where their food comes from and meet the producers. And we have an island advantage of being able to buy super-fresh produce, picked that morning.” Hobart’s Hill Street Grocer, for example, is a gourmet supermarket chain that stocks locavore boxes with 80% of its produce sourced in Tasmania. Percy tells me she’s just back from a ride in the Meehan Ranges on the river shore. Doorstop nature is the upside of Winters that are long and cold. Every Hobart hill has a view of either Mt Wellington above or the River Derwent below. It’s a city of ominous clouds one moment and iridescent rainbows the next. While proximity to wilderness has traditionally been Hobart’s drawcard, since the Museum of Old and New Art (MONA) opened in 2011, cultural tourism has spiked. 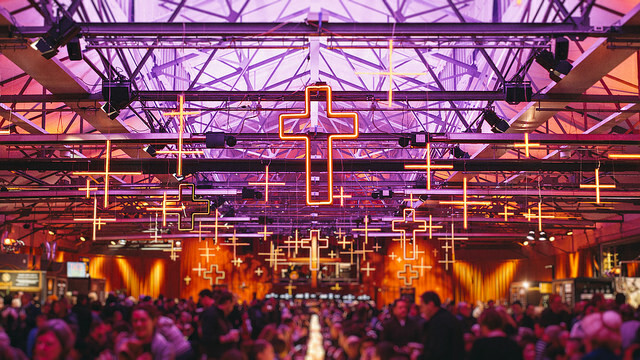 Locals are treated to two international arts festivals each year – Mona Foma in Summer and Dark Mofo in Winter. The latter offers an extravaganza of food and drink called The Winter Feast: a fire-lit, bacchanalian sight to behold – and taste. Happily, visitors to Hobart can sample the Weston’s epicurean experiments at The Pigeon Hole café in West Hobart, an outlet for the farm’s produce. When I go for lunch, my order has run out but the waitress is unfazed. She speaks over her shoulder to the chef and together, they breezily customise a replacement. Clearly, everyone here is hands-on with food. Up the hill in New Town is a half-acre plot that until 2015 was unused grassland. Volunteers have since transformed it into an abundant urban farm. “In a time when farmers are literally walking off their land …we’re walking back onto vacant land and re-embracing one of the world’s most important jobs,” says the Hobart City Farm website. Volunteer Bridget Stewart shows me around. 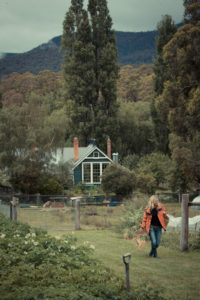 She worked at an organic farm run by Hobart store, Goulds Natural Medicine, and grew more inspired by the day. “I learnt how to use a big scythe to cut peppermint,” she says. “It sounds old-fashioned but it was so efficient. “The common understanding is that small-scale and hand-powered is slow and low output. People think you need tractors and fuel-powered machines but you can grow a lot of food in a small space with a good system, planning and well-designed hand tools.” She shows me a tilther as an example; a drill-powered machine that tills the soil. We snack on red and yellow cherry tomatoes, warm from the vine. The farm is bursting with beetroot, beans, snow peas and rhubarb. Where possible, seeds are sourced nearby because local breeds suit local conditions. And Tasmania’s conditions are certainly unique. The strong sun prickles your skin. It’s Summer now, but a cold wind whips our words away, so we retreat to the farm’s HQ. I pick by way between pots, gardening tools and bags of seaweed pellets. It is a hive of happy activity now but this part of Hobart has a sad history. Known as St John’s Precinct, in the 1800s it was dominated by institutions for “Tasmanians in need” including two convict-built orphan schools. The stolen generation began early in Tasmania with several Aboriginal children taken from their Flinders Island families and brought to the orphanage, including William Lanne, or King Billy, known as the last full-blooded Aboriginal Tasmanian man. Later, war veterans and people with mental illness and dementia were sent here too. 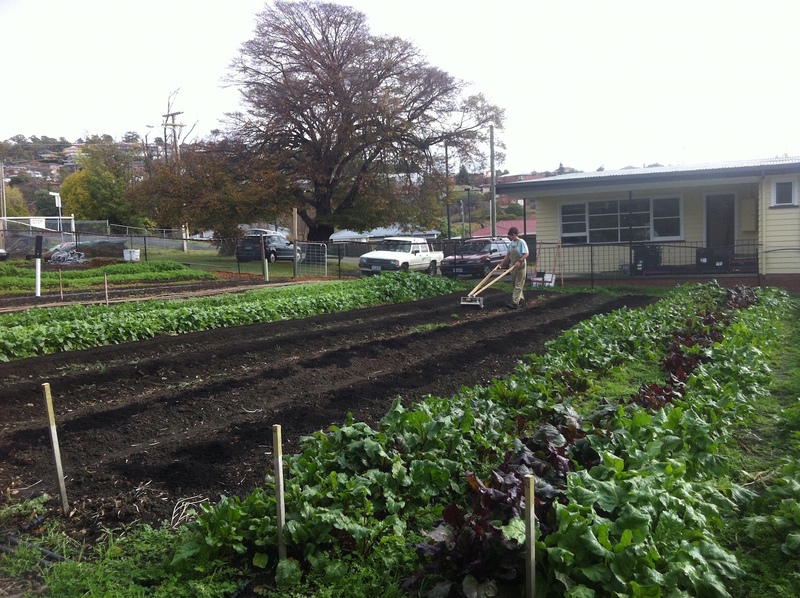 Hobart City Farm hosts community events and training for aspiring yet unemployed farmers. Located on land with such a painful past, the farm’s focus beyond food and towards social inclusion is a good way to begin to heal old wounds. Though not all of Hobart’s fresh food comes from farms. Some grows wild, weedy and free. Imagine entering a pine forest at dawn. 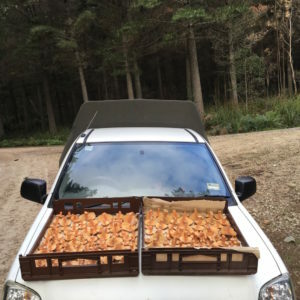 You’re there early to beat other foragers but mainly to find your haul of pine mushrooms before the sun does. It’s cold and still. You wonder: “Did I get out of my warm bed for no reason?” A few hours later, you’re returning to Hobart with eight kilos of saffron milk caps and slippery jacks in the backseat. “The elation is amazing,” says cook and forager, Mic Giuliani. 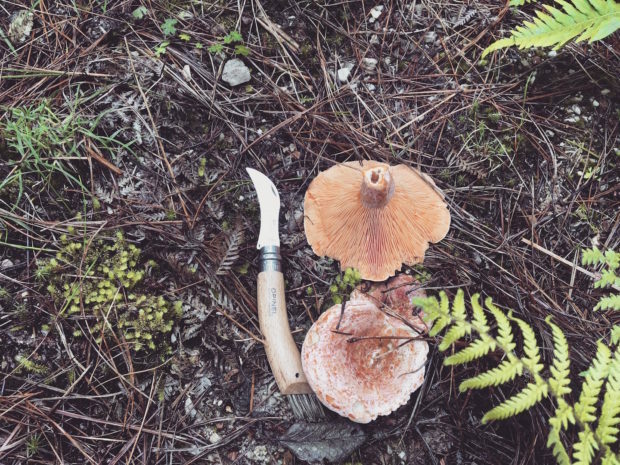 He’s been foraging since his granddad – from Italy – taught him as a kid. Giuliani owns Sirocco South, a business that uses Tasmanian ingredients to make Italian slow food. The mushrooms he gathers in the Radiata pine forests are vitamin D bombs; an excellent supplement for locals who grow deficient during Winter. Tristan Stephens of Wild Artisan is another foraging chef. Foraging, he says, can be harvesting wild or introduced plants, weeds or natives. “Essentially, it’s going into a plant’s environment and harvesting there.” Half the joy is roaming the places where edibles grow: river edges, pine forests, fields, beaches and estuaries. Foraged food is hardy, needs no fertiliser and lives in poor soil. “It’s food stuff for hard times,” says Stephens. The plants he gathers have wonderful names: Wild salsify, brassica, bittercress, Grey saltbush, sassafras, yarrow, samphire. But don’t pick the wrong plant. Foxglove will slow your heart down, Hemlock will give you paralysis and the Deathcap mushroom can be fatal. These eight pavilions at MONA are defined by contemporary design and avant-garde art. A heated pool, sauna, winery and a museum tour should cap things off nicely. This premium hotel on Hobart’s waterfront is dedicated to story-telling. The characters and tales that shaped Van Diemen’s Land are shared in a setting of informal luxury. Satellite Island is your own private island of untamed wilderness in the D’Entrecasteaux Channel. Fish from the jetty or shuck oysters off a rock shelf. This mid-1800s barn is now a luxurious, light-filled accommodation. Fully-equipped, self-contained and minutes from downtown Hobart. Made from salvaged Tasmanian timber, these hidden cabins have great views. Heated bathroom floors, a spa and a wood fire make for a cosy Winter retreat. In fashionable North Hobart is this casual bar and “tassievore” eatery. Its ethical approach to an almost exclusively Tasmanian menu can be washed down by a local craft beer. This institution on the Hobart waterfront has a stunning view from its a la carte Upper Deck restaurant. Mures is a family owned business that uses sustainable fishing techniques and its own boat. The wine list is exclusively Tasmanian and the oysters are the best you’ll get. A European-inspired wine bar one of Hobart’s oldest digs. Etties pairs simple dishes with old and new world wines and prides itself on premium ingredients and knowing its growers. This intimate CBD bistro and wine bar does everything from creative cocktails to bar snacks and tasting menu. Local, seasonal ingredients are a focus, as are wines made with no chemicals from organic or biodynamic vineyards. The tiny, tucked-away restaurant specialises in shared plates and unique wines. Italian flavours are served up from an all-day menu so if you can’t do dinner, try lunch. This traditional spa in the CBD uses Aveda products and is a go-to for locals. 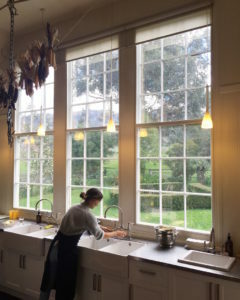 Find personalised treatment at this South Hobart spa on an acreage overlooking the River Derwent. Cruise by towering sea cliffs, walk out to mystical rock arches and picnic on local cheese and oysters by Cape Bruny Lighthouse. At Bill McHenry’s Distillery you use water from an on-site spring blended with Tasmanian botanicals to make your ideal gin. An outdoor lunch in the hills completes this big day out. If you think Winter and whisky are a great match, this cosy tour is for you – especially when you sip by an open fire.